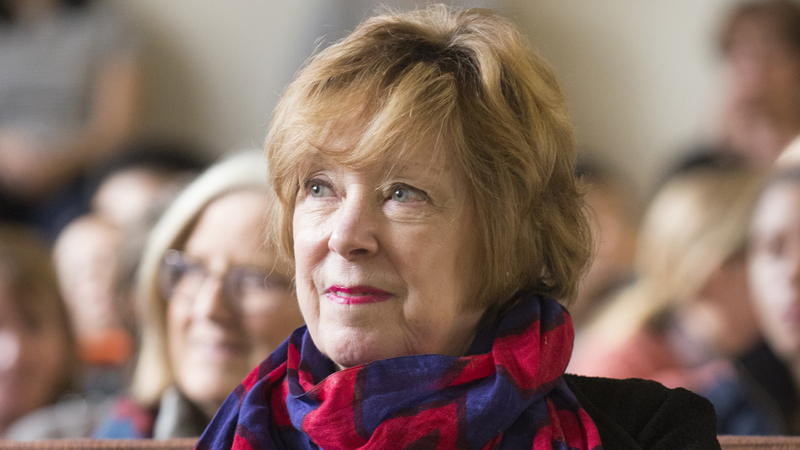 The Knapp Center for Social Sciences has been made possible thanks to the generosity and vision of one of Wellesley’s most influential alumnae, Elizabeth “Betsy” Wood Knapp ’64. 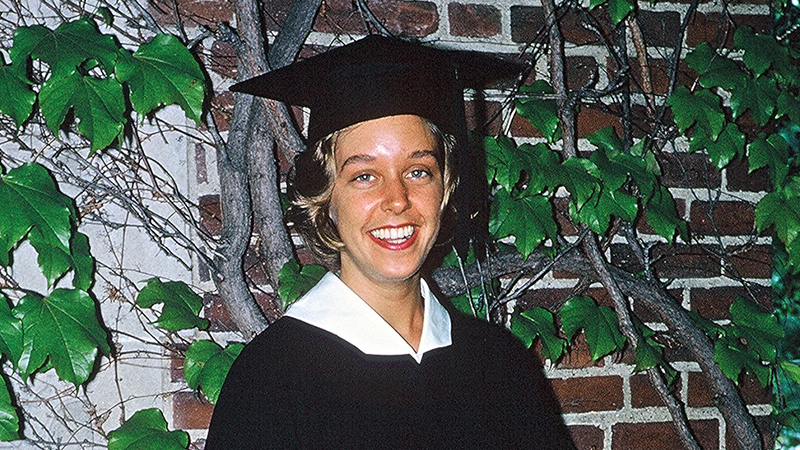 A lifelong supporter of Wellesley College, Betsy was a pioneer in online interactive computer software, an entrepreneur, an angel investor, and a passionate philanthropist whose dedication to promoting gender equality in fields of business and technology has left a lasting and profound legacy. While at Wellesley in the 1960s, Betsy studied Economics and was a singer in the acapella group, the Blue Notes. Soon after she graduated, she began her entrepreneurial career in the world of technology, working at the Sloan School of Management at MIT. 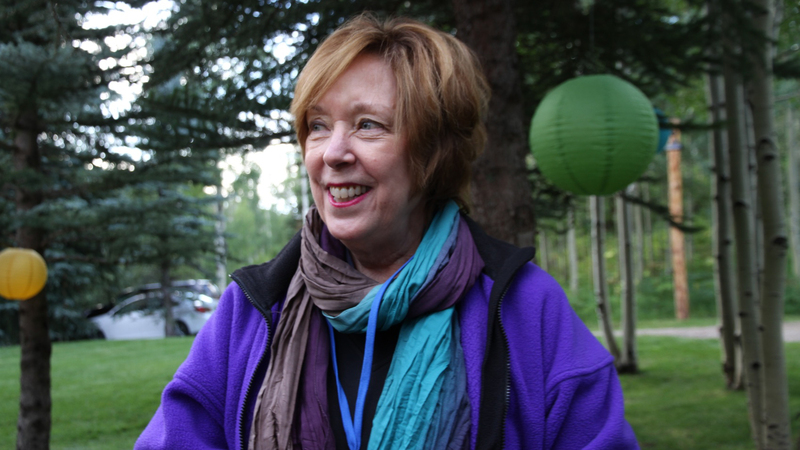 Throughout her life, Betsy asserted that Wellesley gave her the confidence she needed to take risks. One such risk was to enter the high-tech industry in its infancy in the 1970s. When this bold move catapulted Betsy’s career to become the first female CEO of a tech company, she was quick to give back to Wellesley by endowing the Knapp Media and Technology Center in 1997. To this day, the center is a place where students use state-of-the-art technology to study, create, and explore the world. 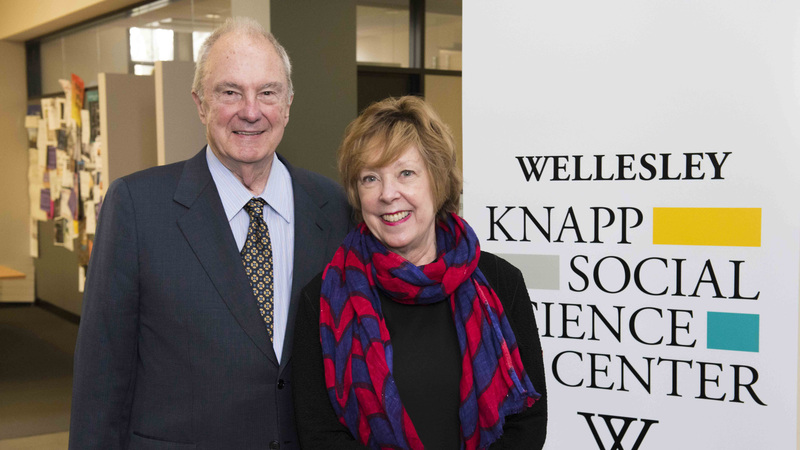 Betsy was also instrumental in creating the Knapp Social Science Center (KSSC), where students and faculty across the social science disciplines can learn from one another and collaborate. The KSSC was formally launched in 2014, but Betsy and her husband Cleon “Bud” Knapp began to invest in the space in 2000, when Pendleton East was upgraded and renovated to support this vision. The previously dark and unwelcoming Pendelton East Hall was transformed into a bright and open space, inviting members of the Wellesley community and visitors to attend lectures, to study, and to connect. The Betsy Wood Knapp Lecture, which was inaugurated in 2014, is the main event of the year, meant to bring intellectuals from across the social sciences to the Knapp Atrium in Pendleton East to share their insights into our ever-changing world.